London, June 9 (IANS) A primary school in Britain has its own quality of "unity in diversity". Its pupils speak 31 different languages including Bangla and Sylheti forms of Bengali, Tamil, Urdu, Gujarati and Punjabi besides English and several other European tongues. The English Martyrs' Catholic School in Birmingham has 414 pupils, the Daily Mail reported. Children attending the school who speak English as their first language are in a tiny minority. The other languages include Afrikaans, Arabic -- Iraqi, Lingala, Sudanese and Yemeni forms, Czech, Dutch, Gaelic, Gurmukhi, Hindko, Jamaican Patois, Kachi, Mirpuri, Nepalese, Pashto, Polish, Portuguese, Romanian, Somali, Spanish, Sudanese, Swiss French and Yoruba. Mirpuri and Hindko are both from Pakistan. Despite the challenges facing teachers, the diversity appears to have improved results at the school. School head Evelyn Harper attributes high exam scores to the value many of the pupils' home cultures place on learning. Last year, 91 percent of pupils achieved the benchmark level four or above in English, and 89 percent in maths. The school sometimes uses translators, as well as a "buddy" system where new students are paired with one already at the school who has the same mother-tongue and can help them start picking up English words. Figures obtained by the Birmingham Mail revealed that more than 120 languages are spoken across the city's schools. 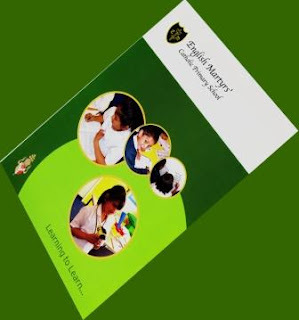 Despite being a Catholic school, the majority of pupils at English Martyrs hail are from a Pakistani background. Latest government figures show that pupils who speak English as their first language are now in the minority at more than a quarter of Birmingham schools. Records from the Department for Education showed a majority of students at 117 of the city's 430 primary and secondary schools listed a different language as their mother tongue. The English Martyrs school recently celebrated its centenary. It was a mainly Irish Catholic background in the 1950s and 60s. Around 11 percent of students are currently Catholic. ...I am pleased to inform you that our interim assessment shows that the school’s performance has been sustained and that we can defer its next full inspection...."
Nice Sharing and its a mandatory for kids and students.